There are certain foods and herbs that we can eat on a daily basis that will help us maintain a lean and healthy body. Unfortunately there are also certain foods or ingredients in foods that have the opposite effect - making us fat and sick. Many may think they know what these bad foods are - high fructose corn syrup, trans fats, saturated fats, etc. But one ingredient that most aren’t aware of is: SOY. 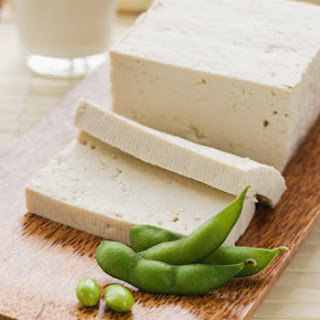 Did you know that soy products can actually cause weight gain, PMS, bloating, stubborn fat, contribute to prostate enlargement, cancer and other disorders? 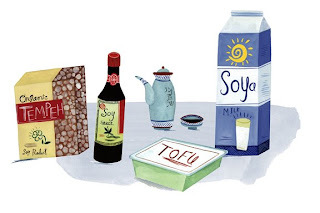 Many think that soy is the new dairy. It may be used as such, but what most people don’t realize is that it actually has a metabolic estrogenic effect in the body. If you’re male, you may want to think twice before consuming soy products, as soy can be feminizing. Do you want to be increasing the estrogen content in your body when excess estrogen is a known cause for gynecomastia (fatty breasts in men), prostate enlargement and cancer? Or, if you’re female, do you really want excess estrogens circulating throughout your body when estrogen dominance is a known cause for bad PMS, breast cancer and other female disorders? It’s important that we all understand the consequences of consuming soy based foods. I’ve spoken to numerous people who think they are eating “healthy” by replacing all dairy with soy. Some may initially lose weight, but at what cost? Furthermore, many can’t figure out why the stubborn fat and metabolic disorders increase or persist. The problem very likely lies in the soy. Whether it’s soy milk, soy ice cream, veggie burgers, tofu or other soy based products, all overwhelmingly contribute to an excess of estrogen in the body. Briefly, soy actually contains phytoestrogens. Although natural, phytoestrogens have an estrogenic effect on the body. In a world already overwhelmed by estrogenic chemicals, the last thing needed is to mistakingly consume a food or ingredients that contribute to the problem. One of the most obvious signs of excess estrogen in the body is the formation of stubborn fat, particularly in the belly in men, and more commonly in the hips and thighs of women. But soy is only the tip of the iceberg. There are many other particular estrogenic chemicals that we are ingesting on a regular basis that are causing us problems. I’ll write more on these later. Meanwhile, if you enjoyed this article by Rick Osborn and you’d like to learn more about soy and the estrogen issue now, you can check out his book that he co-wrote with Ori Hofmekler(author of The Warrior Diet) - The Anti-Estrogenic Diet: How Estrogenic Foods and Chemicals Are Making You Fat and Sick, by North Atlantic Books - available at Amazon.com.